Kerala received the highest rainfall in its recorded history – 3368mm – during the 1924 south-west monsoon. 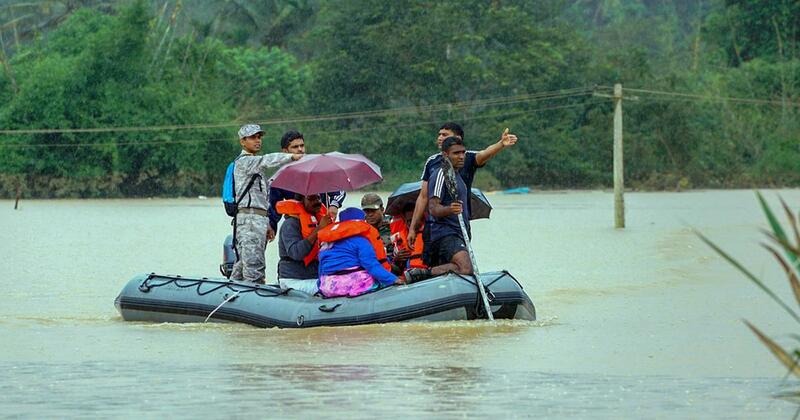 Continuous rain for three weeks flooded the Periyar River and submerged many districts along the coast in the areas that form present-day Kerala, and even washed away a hill called Karinthiri Malai. Since the flood occurred in the Malayalam Era 1099, it is known as the “Great Flood of ’99”. This year, even though Kerala has received 50% less rain than it did in 1924, the impact has been no less severe. According to the Indian Meteorological Department data, Kerala received 1739.4 mm of rain from June 1 to August 8. “This is the worst monsoon disaster since 1924,” Kerala Chief Minister Pinarayi Vijayan said on Tuesday. Initial estimates put monsoon-related losses at Rs 8,316 crore, he said. Since Friday, 47 have died in the disaster and four have gone missing so far. More than 20,000 homes have been completely destroyed and 10,000 km of roads have been damaged. As many 215 landslides have been reported. More than 30,000 people have moved to government relief camps, Vijayan said. In recent years, 2013 saw the highest rainfall that Kerala has received (2561.2mm). But with the south-west monsoon likely continue until the end of September, this year’s figure may breach the 2013 level. Meteorologists say that the rainfall data over the last six years do not suggest a visible pattern. After a peak in 2013, rainfall in the state dipped in 2014 and hit a low in 2015 before slowly rising in 2016, 2017 and 2018. “It is due to the inter-annual variability and changes in climatic conditions,” said D Sivananda Pai, who is the head of the Climatic Prediction Group at the India Meteorological Department in Pune. After analysing the data for 115 years from 1901 to 2016, scientists have also established a decrease in southwest monsoon rain. A research paper that analysed the inter-annual variability and trend of the changing characteristics of droughts over Kerala has found that the annual and summer monsoon rainfall over Kerala is showing a decreasing trend and post-monsoon rainfall is found to be increasing. In 2013, all the state’s districts, except Thiruvananthapuram, received more than 1400 mm of rainfall. Kannur, with 3119.4 mm, got the most rain. Eight other districts received more than 2000 mm. Thiruvananthapuram received just 889 mm. In 2014, the amount of precipitation reduced. Kannur district topped the charts with 2537.4 mm. 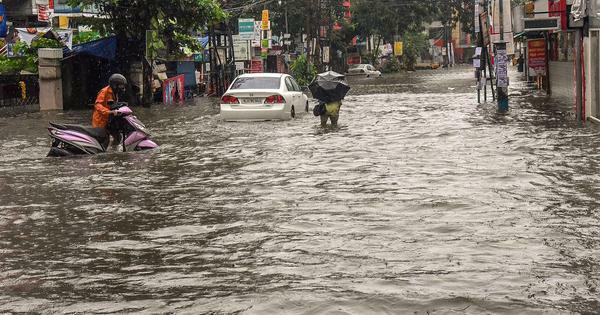 Seven districts got more than 2000mm, six districts got between 1100 mm and 1800 mm while Thiruvananthapuram got the least amount of rain at 719.7 mm. The next year, 2015, saw a drought-like situation across the state. Kannur received just 1852.5mm and only nine districts received more than 1000 mm of rain. The other five district got less than 1000 mm. “The draught occurred because of El Nino,” said Dr D Sivananda Pai, Head of Climate Prediction Group at the India Meteorological Department in Pune. The situation improved slightly in 2016, but Kasargod was the only district to receive more than 2000 mm rainfall. Ten districts got rainfall between 1055 mm to 1854 mm, while three districts received below 1000 mm. The rainfall increased further in 2017 with 12 districts receiving rainfall between 1015 mm and 2120 mm. The southern districts of Kollam (943 mm) and Thiruvananthapuram (494 mm) were at the bottom of the table. Since the beginning of June 1, 2018, all the state’s districts received copious rainfall. Until August 8, Kannur had received the maximum rainfall (2265mm). At 665mm, Thiruvananthapuram received the lowest.